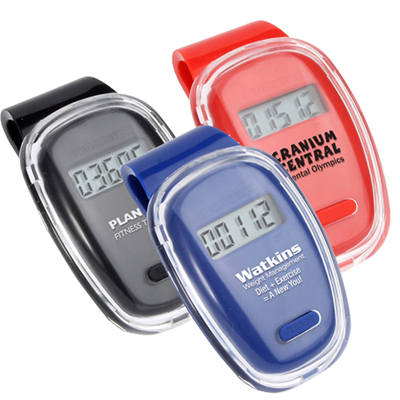 OUR PROMOTIONAL PEDOMETERS CAN HELP YOU LAUNCH A GREAT MARKETING CAMPAIGN! 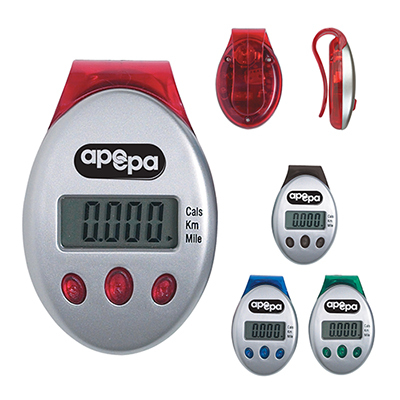 Gift clients and employees a healthier lifestyle by placing a bulk order for our pedometers. 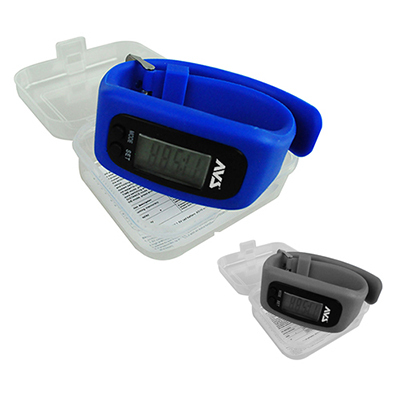 Promo Direct offers a wide range of promotional pedometers that help recipients lead fitness-oriented lives. They will remember your brand each time they use these pedometers! Apart from counting the steps taken by the exerciser, these pedometers also track activity levels and calorie intake. 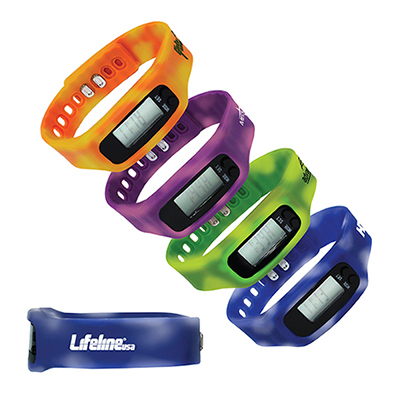 Our pedometers are available in various price points and exciting colors. Use the marketing power and goodwill offered by our pedometers to take your branding to a whole new level. 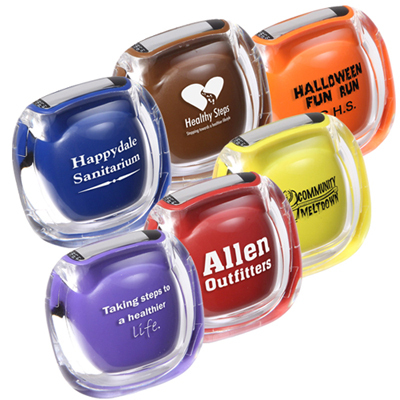 Imprint your logo and message on these pedometers for widespread visibility. 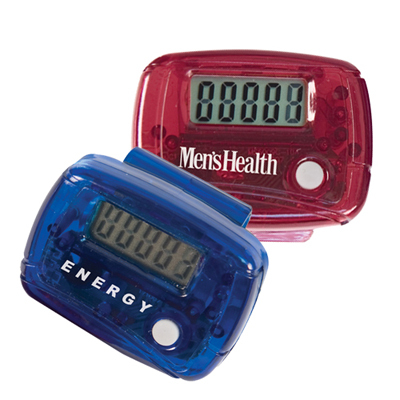 These pedometers have the potential to convince recipients of your brand’s genuine approach to clients and employees. By investing in such giveaways, you are showing you care about their well-being! 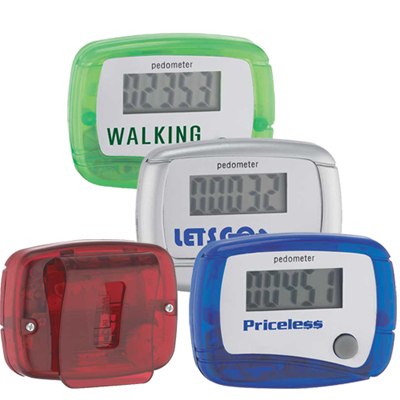 Get in touch with us to personalize these custom pedometers. Give us a call at 800-748-6150 or send an email to info@promodirect.com to learn more about our pedometers! We look forward to serving your promotional needs soon!